Industry tastings are a lot like speed dating. Dozens of wines are presented in either a warehouse or a banquet room setting tended to by representatives from distributors, importers, and wineries. It’s not uncommon for 100-200 wines to be available for tasting at one of these events, so it’s virtually impossible to get to even half of them. Those that you do get to taste are poured in tiny quantities, and time constraints limit your evaluation to short moments in an often bustling atmosphere. It is no more appropriate an environment to make a comprehensive evaluation than speed dating is in deciding a long-term companion. Perhaps the analogy works better if you think of it for what it is: you’re not getting married, you're just trying to find out if you want to have a first date. With that as a disclaimer, following are a dozen wines from a recent trade tasting that I will look forward to seeking out and spending more time with. I encourage you to do the same. 2016 Otto's Constant Dream Pinot Noir Marlborough New Zealand $17: Surprisingly enjoyable, especially considering the price point. Stylistically midway between Willamette Valley and burgundy. 2018 Jacques Florent Blanc (3 liters) $37: White wine in a 3L box? Yes. Apparently it’s all the rage in France these days. 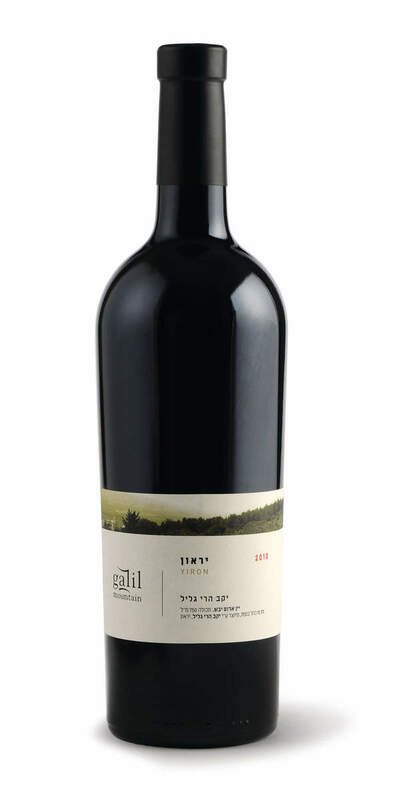 2015 Gallil Mountain Yiron Red Upper Galilee $40: Perhaps...scratch that...without a doubt the best of show. Magnificent. Perfume, complex, and dreamy, this red blend stood out among many wines double and triple the price. Oh, and it’s from Israel. Cab, merlot, and syrah. 2017 Mount Hermon Red Golan Heights $15: Also from Israel is the entry-level red counterpart. Grill companion extraordinaire, fresh Bordeaux blind. Enjoyable any night of the week. 2014 Calla Lily Ultimate Red Pinot Noir Napa Valley $49: Lovely, statuesque, and well-made. A Napa valley body wrapped in Burgundian structure. 2014 Calla Lily Ultimate Red Cabernet Sauvignon Napa Valley $80: A little brother of sorts to the Audax bottlings reviewed here a few months back. Close your eyes and think dark, luxe cabernet made expertly in a classic Napa style. That's this. 2016 Brandborg Bench Lands Pinot Noir Umpqua Valley $22: from an unheard of region of Oregon comes this interesting, character filled, and slightly smoky Pinot Noir that I look forward to having again. 2015 Chateau Larose Trintaudon Haut-Mdeoc Bordeaux $30: There’s nothing terribly remarkable about this Bordeaux other than it’s a reassuring textbook example without breaking the bank. 2015 Domaine de L'Oiselet Vacqueras Bio $27: Gritty and tannic, this intense red will put hair on your chest. Well made and sophisticated, despite its brawn. 2016 L'Hallali Gigondas Grande Reserve $30: As jubilant as its colorful label. big, powerful, ageworthy heavyweight bruiser Delivering a kaleidoscope of iridescent flavors. Pow! And still just a baby. 2015 Le Lecciaia Toscana $22: Made by a producer of terrific Brunello is this robust and flush, internationally styled cabernet that still delivers Italian acidity. Good bang for the buck here. 2017 Vecchio Marone Veneto $18 Italian Bordeaux blend ready for Tuesday night pizza. An honest wine. Finally, one of this distributor's cornerstone producers is Albert Bichot, so it was no surprise that the very first table in the room was devoted entirely to this Burgundian mainstay. Pouring 16 different bottlings (which, believe it or not, represents just 20% of their total offerings), the rep patiently repeated his talking points on each of them again and again and again. With so many wines at this table, I had to prioritize and here I will just summarize. Bichot is a microcosm of Burgundy: mostly pedestrian until you start spending north of $45, and then it’s a game changer. For those with the heady means, the spendy territory is fertile ground for exploration, starting with the Pommard. For the rest of us, France is a big country full of gems.